It's generally accepted among consumers that you will get more money for your used car if you sell it yourself, rather than trade it in on a new car. But selling it yourself can be a hassle – and even dangerous. After all, in many cases you're inviting perfect strangers to your house and handing them the keys to your car for a test drive. The dealer charges a premium for the convenience it offers you to take your used car off your hands. 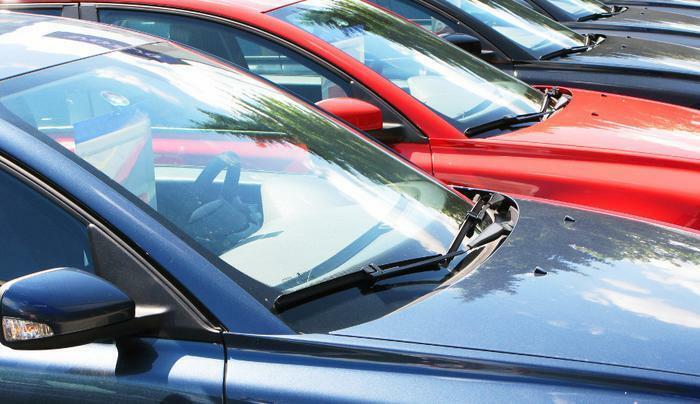 And used cars obtained on trade-ins carry a very high profit margin for dealers when they put them on their used car lot or sell them wholesale. But even if you are willing to accept less for your trade-in for the convenience of getting rid of it, there may be another reason why trading it in could be a costly decision. A group of business school researchers in California studied transactions involving trade-ins and those without. They conclude that the consumer pays more for the new car when they trade in their old one. The research theorizes that sellers of big-ticket items like cars and boats can judge a buyer's willingness to pay based not only on his or her decision to trade in the old product but also on its characteristics. The researchers focused in this case on cars, testing their theory with data from new-car transactions in the premium midsize sedan category between 2001 and 2005. Their results suggest dealers peg a buyer as one with a higher willingness to pay when they trade in a vehicle. Most surprisingly, the researchers say, the dealer holds out for a higher price than they might accept from a buyer without a trade-in. And that's not all. The researchers say dealers tend to command higher prices from consumers who trade in the same brand of car they are purchasing. For example, they say trading in your used Chevy on a new one won't get you any special favor – just the opposite. The researchers, who are publishing their findings in the Journal of Industrial Economics, say they found consumers with a trade-in pay an average of $990 more than those who do not trade in their used cars. On top of that, a buyer pays an additional $150 more if the trade-in is of the same make as the new car, and another $64 more if it is the same make and model. "The most important finding of our research is that your decision to trade in your old car tells the dealer something about you and your insensitivity to price," said Anthony Dukes, assistant marketing professor at the University of Southern California (USC). "It might be why car salespeople often ask you, soon after stepping into a showroom, whether you're trading in your old car -- even before you discuss terms of the new car." Dukes says your decision to trade in your old Honda on a new Honda tells the salesperson that you are happy with your Honda and aren't thinking about switching to a Toyota or Nissan. "Consider hiding from the salesperson the fact that you have a trade-in until after you reach the price of the new car," said Dukes. "Our research suggests you will receive a lower price." Disposing of your old car outside of the new car transaction might be a better idea. Selling it to someone you know can be an easier option, as long as you are completely up-front about any defects and have priced it fairly. As we recently reported, selling it on consignment through a used car dealer, is an increasingly popular option. Even some used car dealers, such as Carmax, will purchase your late model used car even if you don't buy another from them. There are also companies that do nothing but buy cars. WeBuyAnyCar is perhaps the best known.